Ann Connolly jumped in a van with the Slunsy gang and headed to Madrid for Spanish Nationals! Check out this long, two-video diary covering the various adventures during the trip, including Vashek Kroutil turning 58 years old, David Kreibich doing laundry, and a really nasty van floor. 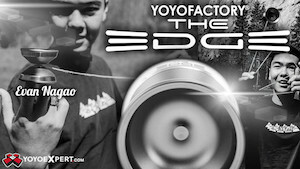 The 2013 Spanish National Yo-Yo Contest was held on October 26th in Madrid. The Spanish scene is small, but has been going steadily for several years. This year’s winner is X³ team member Ixbalam Tapia, winning his traditional battle for the top spot against Daniel Tamariz. Their national contest traditionally attracts lots of foreign players, making for a pretty strong international division every year. János Karancz won last year’s title and this year Ricardo Marechal’s signature foot tricks got him the title.